(Bloomberg) -- BlackRock Inc. rebounded from a rocky end of last year, as customers jumped into its fixed-income products and showed interest in illiquid alternatives. 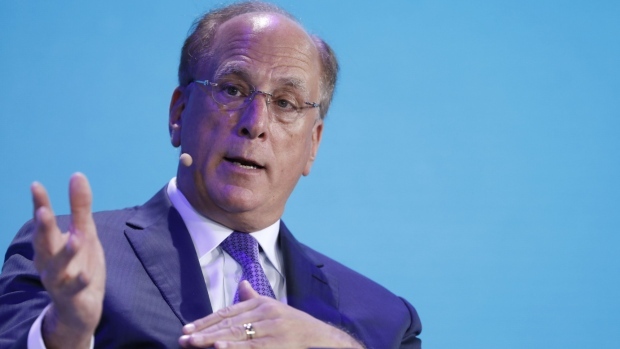 BlackRock saw clients put money to work, moving from cash to fixed income, Chief Executive Larry Fink said in an interview on CNBC after the earnings report. "We’re seeing huge excitement in fixed income,” Fink said. “Asset inflows should support BlackRock’s long-term earnings gains, even as global concerns may weigh near-term. Secular expansion and higher market share in the alternative-investments industry may also fuel growth, as the company targets greater ETF exposure as a key opportunity." In the Asia-Pacific region, where BlackRock is seeking to expand its presence, the company saw $2.9 billion in outflows. The company’s assets under management rose to $6.52 trillion in the period. The firm recently announced some big management changes. In an effort to be more global, it transferred oversight of institutional client businesses to regional leaders. The company reported an 11 percent growth in technology services year-over-year. To further its technology focus, in March BlackRock agreed to acquire French software provider eFront for $1.3 billion. For BlackRock’s earnings statement, click here.